Pioneer ECC missionaries Dr. Wallace and Sarah Thornbloom’s second child, Robert, grew up in the Congo, seeing the dire need for a range of technical expertise on the mission field. Gaining a degree in mechanical engineering, Bob returned to the field in 1963 with his wife Janet. He was installing an electrical pump on the well at the station in Wasolo when the Simba uprising led to the evacuation of the missionaries. The famous exception was, of course, Dr. Paul Carlson, who stayed behind to treat patients until he was captured and killed by rebels. Bob Thornbloom was back in Congo in 1965, helping restart the stations and train locals as mechanics. In 1969, Thornbloom designed and built a waterwheel to bring water to the Karawa station and hospital. The tougher problem was keeping the electricity flowing. The nearest power station was 75 kilometers west, a system barely able to meet its own demands. The Karawa mission and 130-bed hospital consumed 225 liters of kerosene a week, an annual cost of $14,000, plus untold quantities charcoal and wood (in the midst of local fuel wood shortages). Bob experimented with solar heating of water, dreaming of ways to generate electricity. In 1972, an American civil engineer and ECC member began contributing analyses and designs for a dam and power station. Further expertise was added after 1978 by another Covenanter, an electrical engineer. Bob Thornbloom had been watching the Libala River flow past Karawa since he was a teenager, and knew exactly where to put the dam. 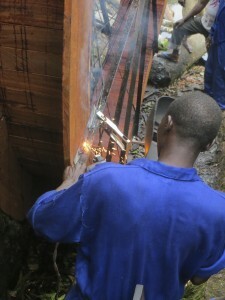 In 1978, earth-moving and construction commenced at Zulu Falls – by hand and by machine, including trucks reclaimed from US programs and the Congolese government scrap heap. Thornbloom oversaw the project through completion in 1984. The official inauguration of the power station was attended by President Mobutu, the US Ambassador, the USAID director, church officials and 5000 locals. Subsequent years of civil war left the dam inoperative. In 2011, Bob Thornbloom returned from retirement to direct a major restoration project with help from the Paul Carlson Partnership and other sources. 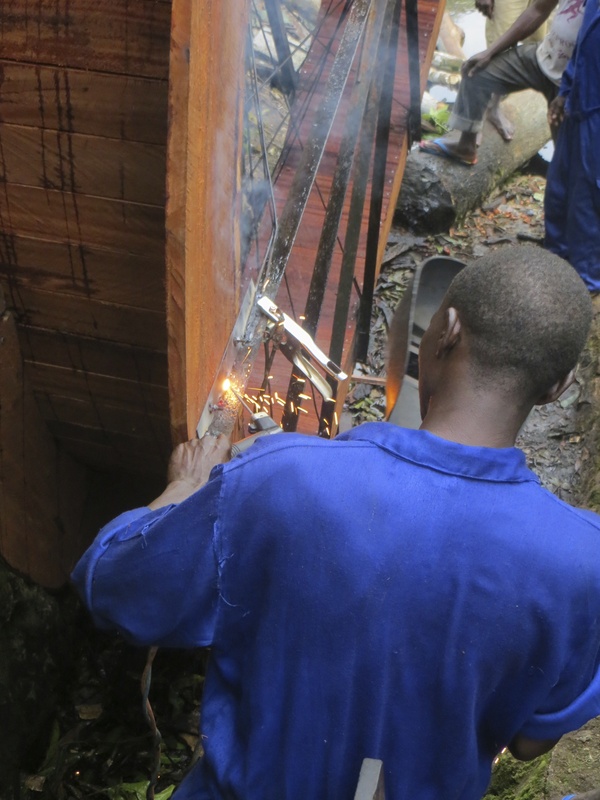 Through PCP, the Zulu dam and the Mbudi water wheel continue to progress towards the goal of full functionality and restoring power and water to Karawa.